Gluten free. Free from artificial colours, flavours & preservatives. Suitable for vegetarians. 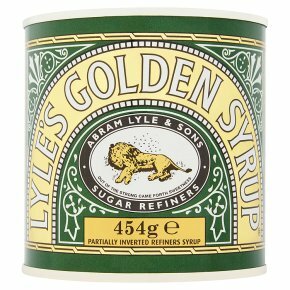 Kosher - KLBD.Enjoy a little taste of yesterday today with Lyle's Golden Syrup®. Its unmistakable flavour is delicious on porridge and pancakes and great in flapjacks, sticky puds, cakes and cookies. Lyle's Golden Syrup® is surprisingly tasty in savoury dishes too.